While the recession has increased workplace stress for many employees, there are some things employers can do to reduce this stress and promote a healthy workplace. When it comes to workplace stress that has been compounded by the recession, more employees of larger businesses have reported significant stress increases than those at smaller businesses (according to research conducted by Regus). 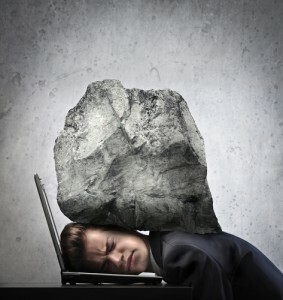 Although employers may not be in a position to hire additional workers to try to decrease workloads and, as a result, the stress their employees are burdened with, there are some other ways in which employers can try to alleviate workers’ stress levels, which, in turn, may promote productivity. For example, some researchers have found that offering flexible work schedules – particularly for employees with children – has been an effective way of reducing workplace stress. Additionally, being clear about priorities and realistic about deadlines is another effective way to help workers manage their workloads and their stress levels. 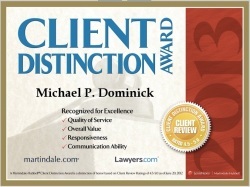 If your workplace stress has caused to sustained a workplace injury and you are considering (or in the process of) filing a workers compensation claim, it’s essential that you contact the Colorado workers compensation lawyers at the Law Office of Michael P. Dominick. Our legal professionals have a proven track record of success when it comes to securing our Clients the maximum possible compensation for their injuries and financial losses. For a thorough evaluation of your case, along with expert advice on the best manner in which to move forward, call us at (303) 447-2644.